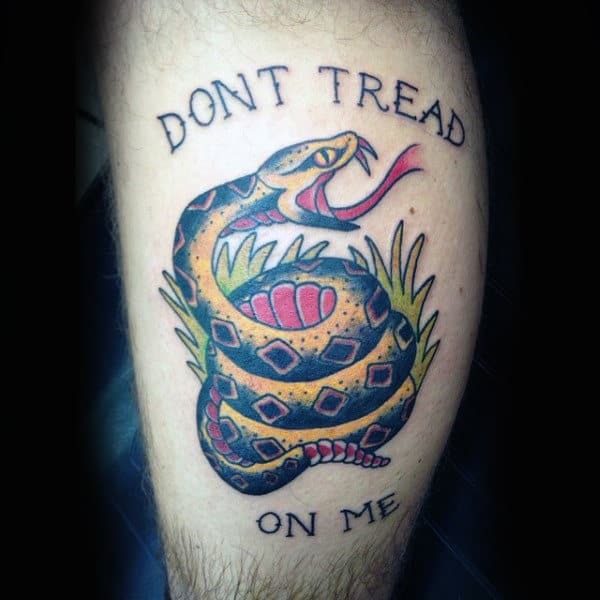 A permanent expression of defiance. 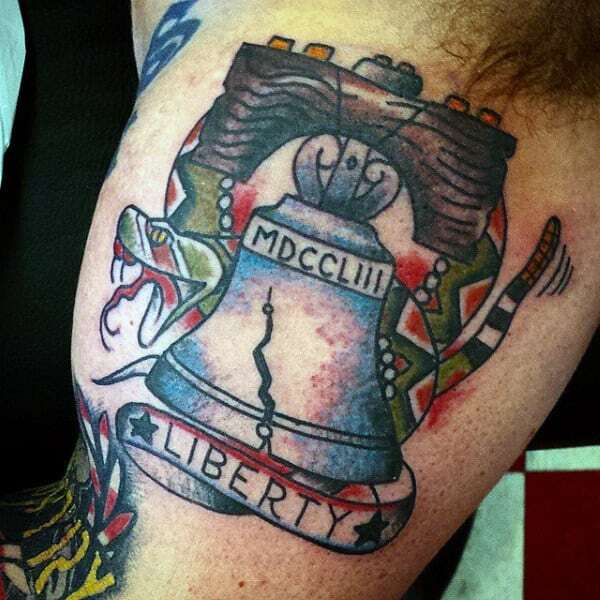 A devotion to the basic principle of individual liberty and individual freedom. 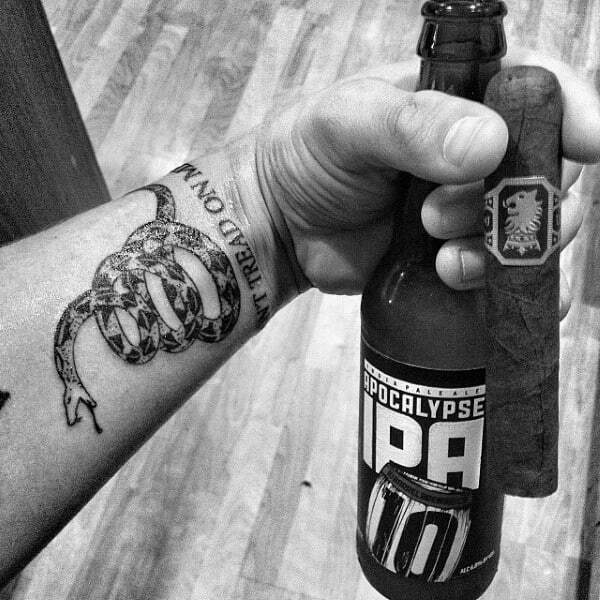 When paired with the rattlesnake, the meaning truly comes to life. 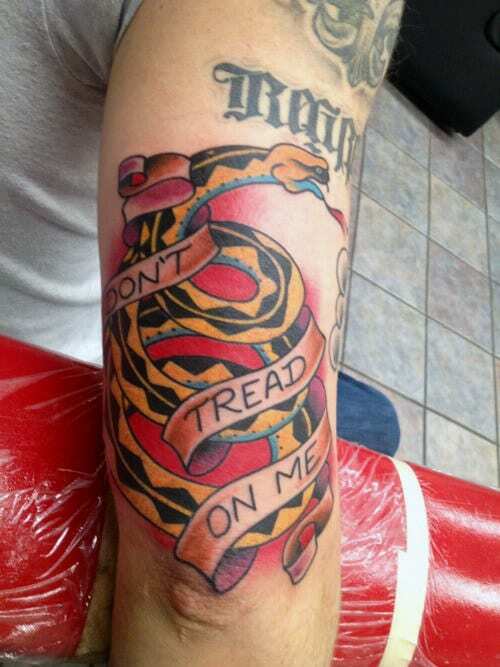 Chances are you’ve seen the yellow Gadsden flag with a snake on it. 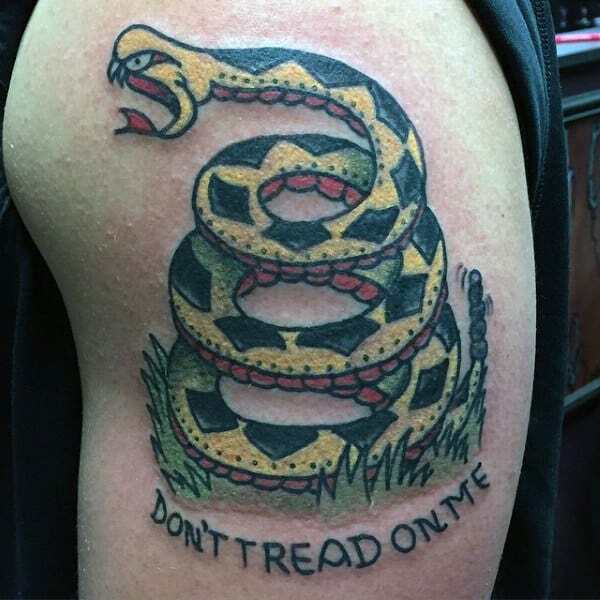 It dates back to Christopher Gadsden, an American statesman and general. 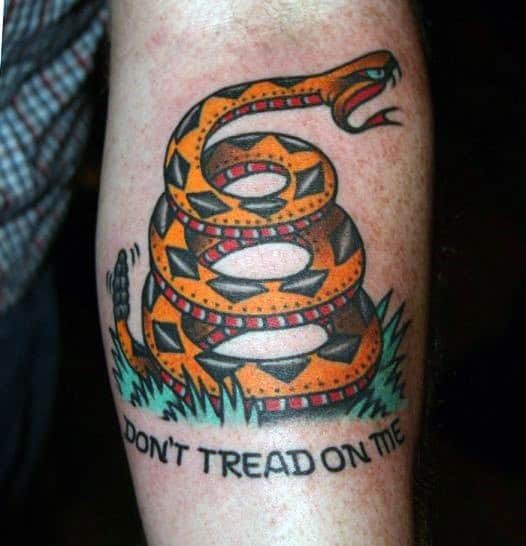 However, before it surfaced across America’s beautiful land, Commodore Esek Hopkins could first be seen with it on his ships back in 1776. 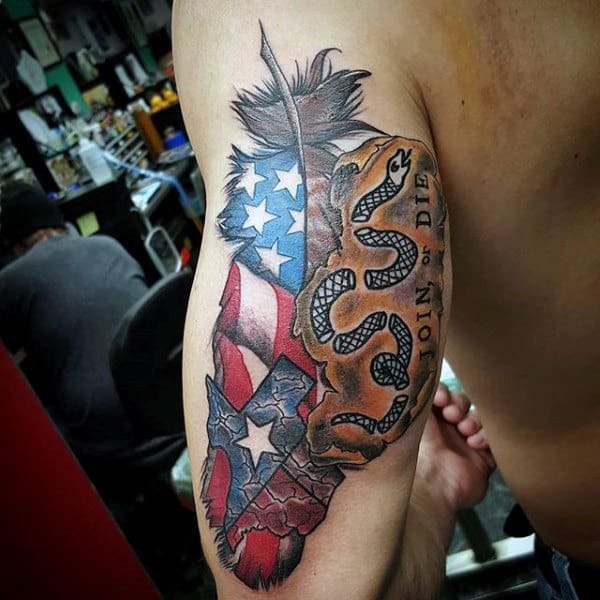 While that was a considerable amount of time ago, the meaning behind it hasn’t change one bit over the course of history. 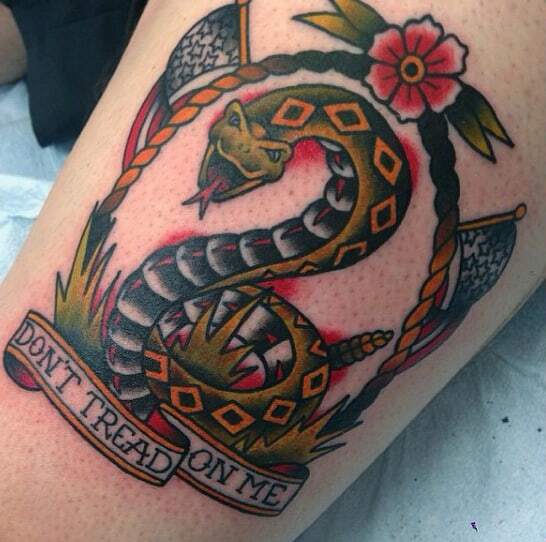 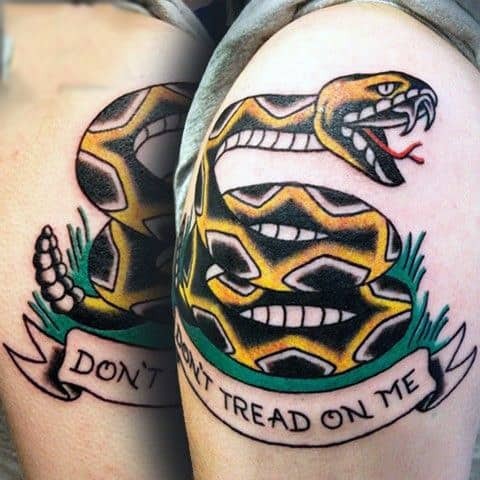 Today, the rattlesnake still represents the saying, “Don’t tread on me” exceptionally well. 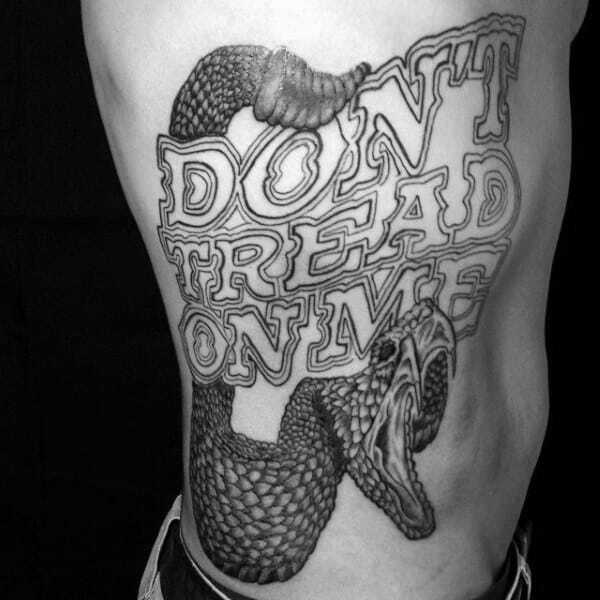 Much like how we wish to live our own lives without external interference, so does the rattlesnake. 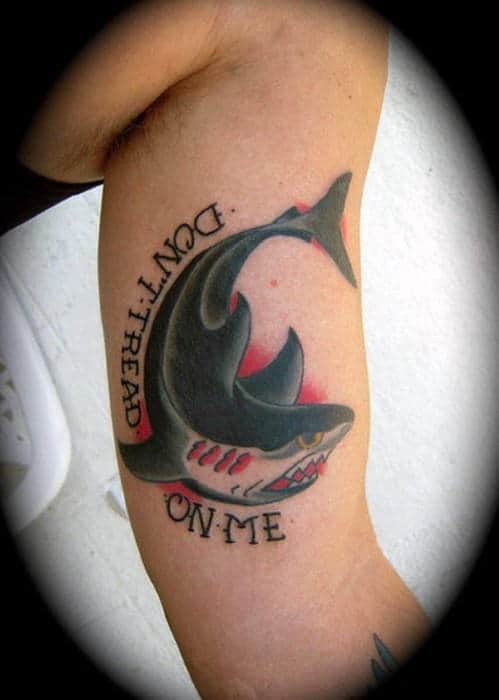 In other words, it’s a perfect reflection of the real world. 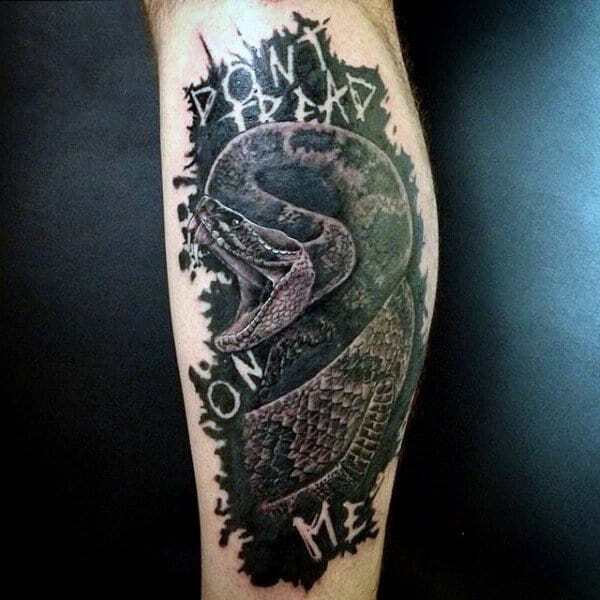 Rattlesnakes themselves are not generally aggressive, instead, they make an honest attempt to warn intruders with their rattle. 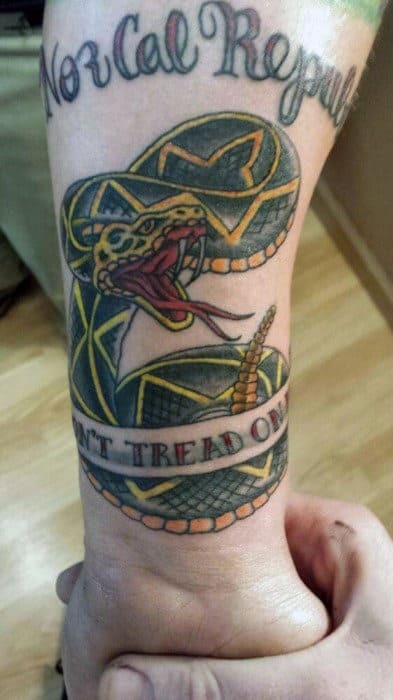 While the rattlesnake might be protecting its territory, you can think of it in a sense as the people protecting their rights. 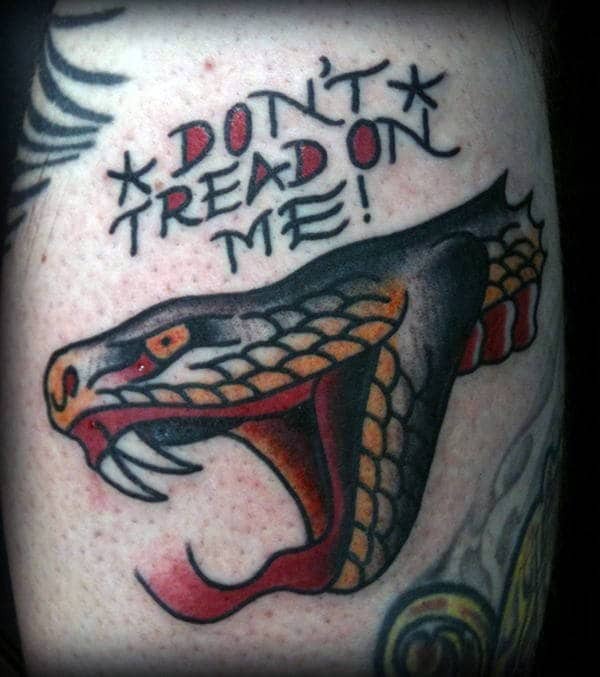 And when necessary, an appropriate response is served back. 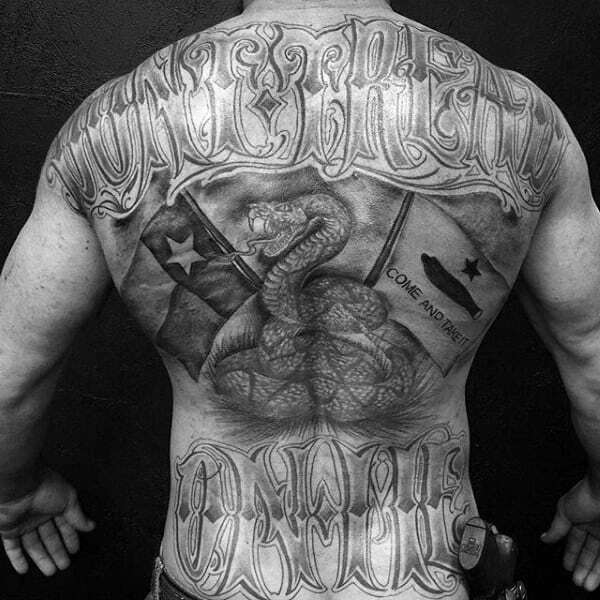 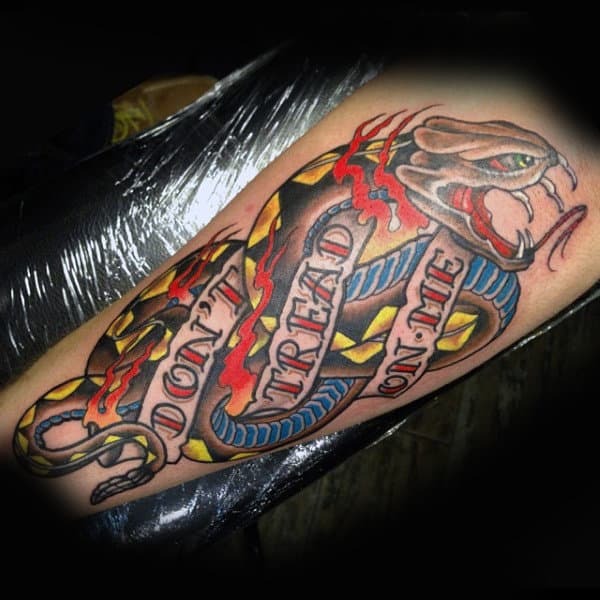 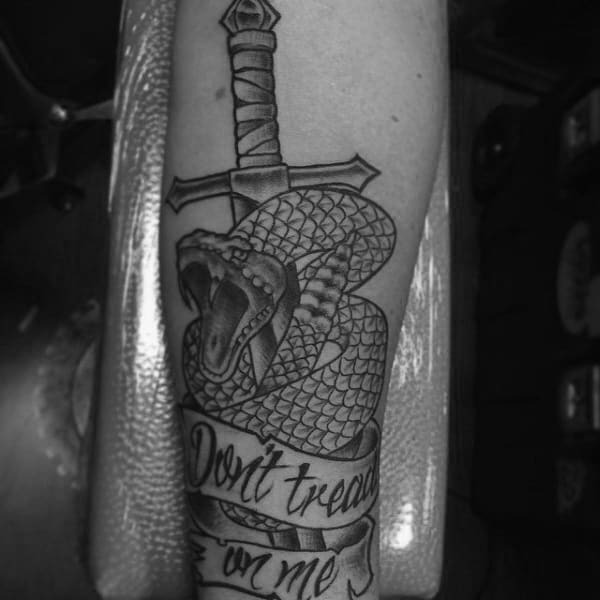 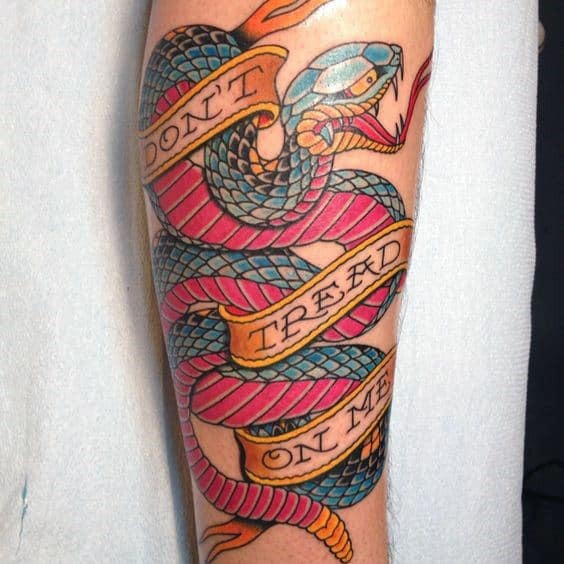 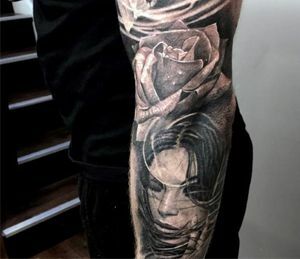 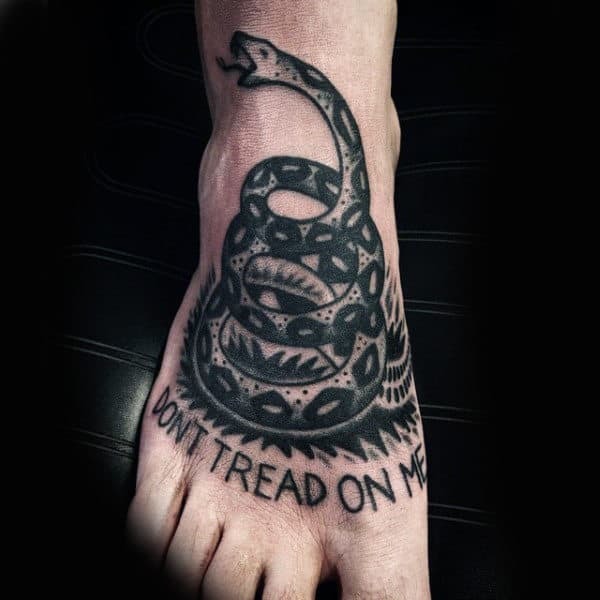 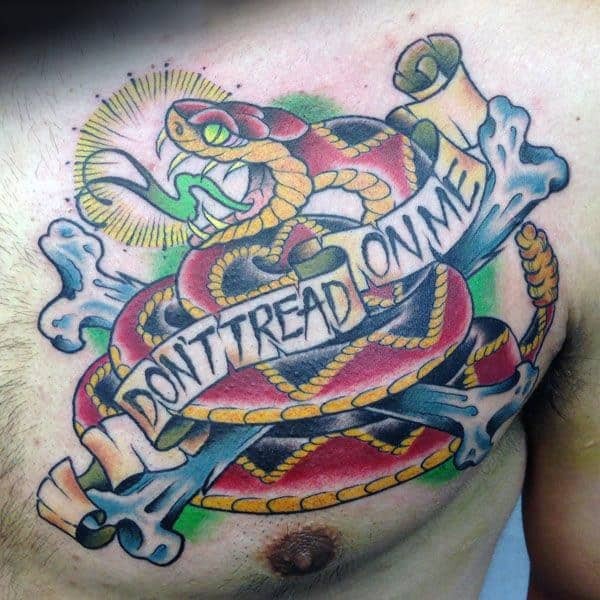 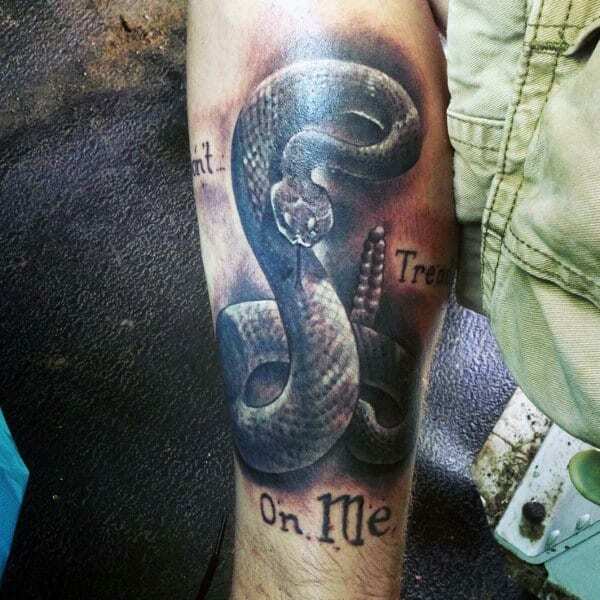 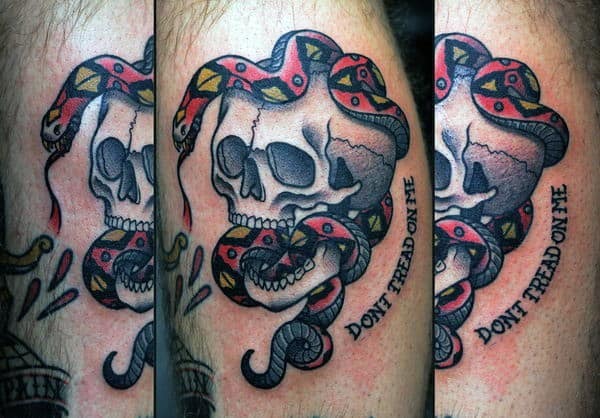 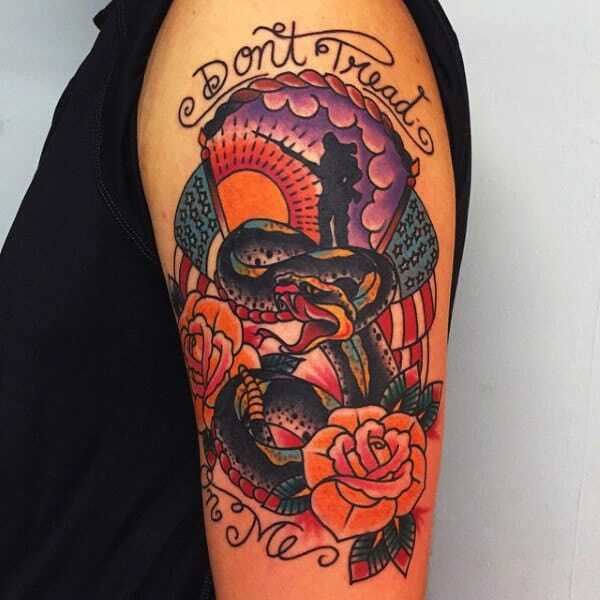 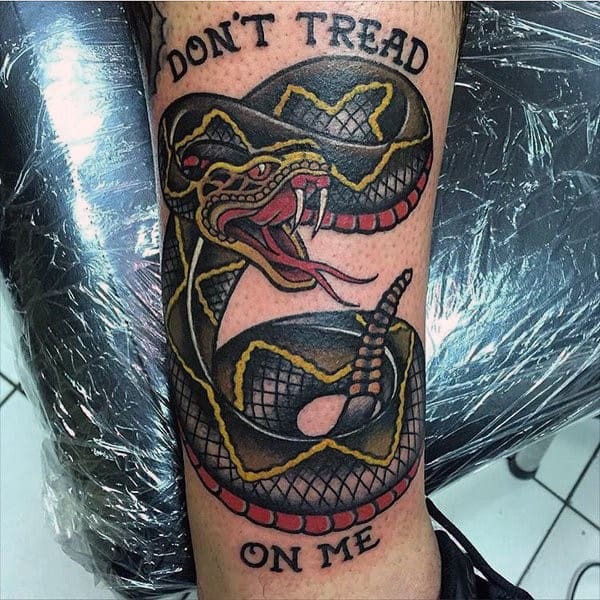 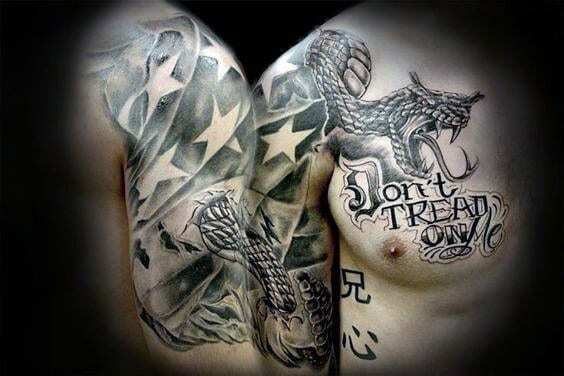 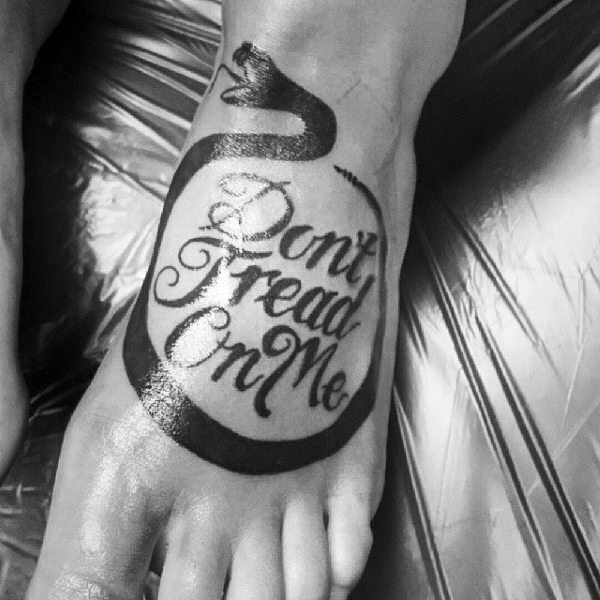 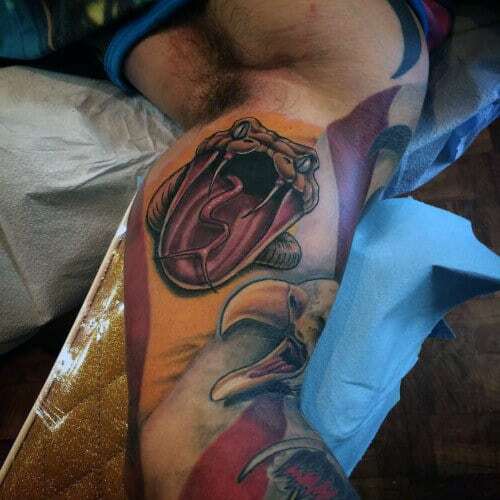 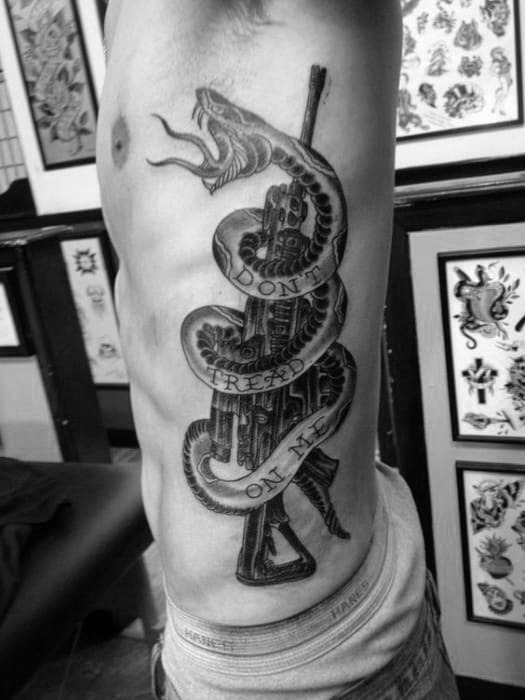 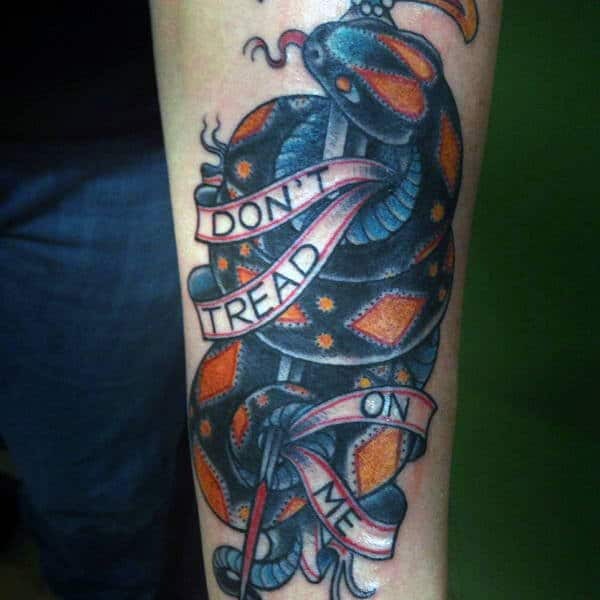 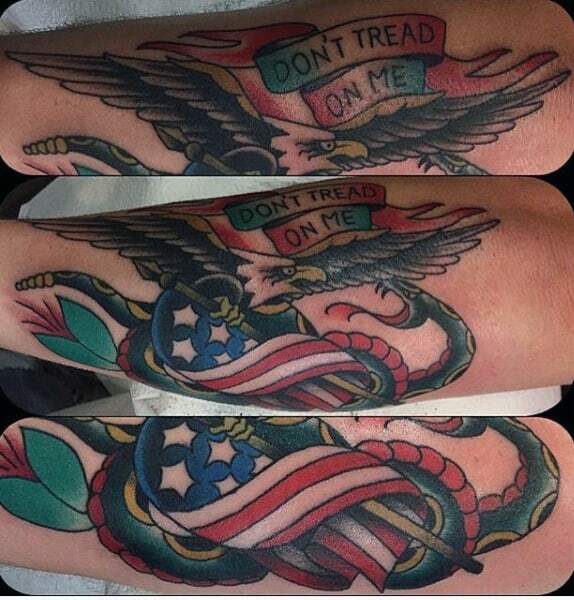 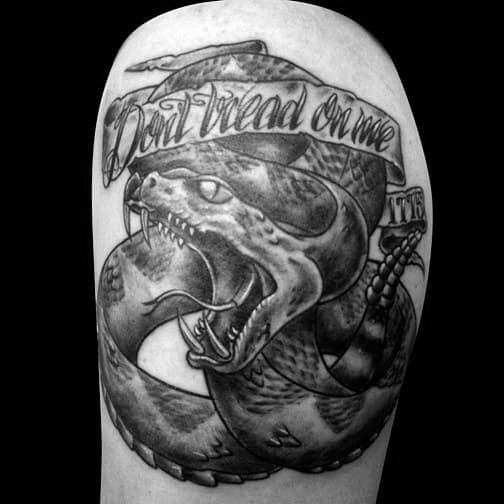 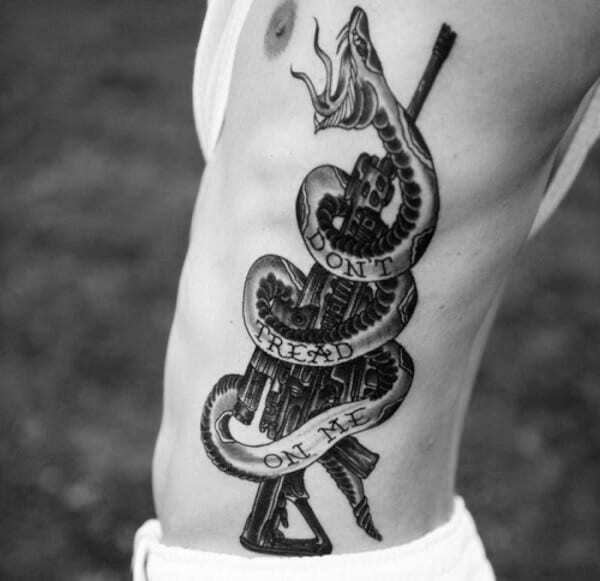 Now that you know the meaning behind these powerful words, you’ll surely appreciate these top 40 best don’t tread on me tattoos for men below.